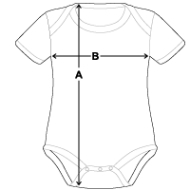 Organic Short Sleeve Baby Bodysuit is in stock. We will print it as soon as you order it. Love it! Just as it looks on here! Love the material and workmanship.